Mobile forms and data collection apps replace paperwork and legacy data collection processes and transmit data immediately to the required destination, allowing for automation of business workflows in a secure, scalable way. Once your organization has decided to implement a mobile forms solution, such as Device Magic, you may be looking to provide devices for your team. 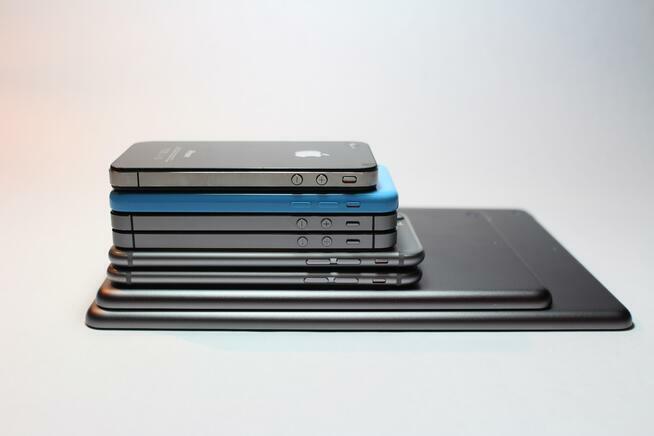 Choosing the best mobile devices for your organization should be viewed as an investment. The devices may cost more upfront, but compare that to the time savings and boost in productivity from using mobile technology and mobile forms. When you consider that the average employee uses about 10,000 sheets of paper each year, switching to a mobile process will automatically save you about $100 per year, per employee. In addition, when you choose a quality option, mobile devices will be a one time purchase that will last for many years. Can you say the same thing about your other office supplies like paper, pens, file folders and ink? If you need to capture images as part of your data collection, then you'll either need to provide employees with a camera (likely costing a few hundred dollars), or ask them to use their own phone camera. Although it can be tempting to look for the cheapest option available, you need the device to function reliably in order to see the real benefits for your workflows. Cheaper mobile devices often don't have enough storage space or their operating systems won't be able to handle the demands of your organization, meaning things are more likely to crash or take a long time to load. Choosing devices operating on the latest Android or iOS operating systems ensure that you will have adequate storage capacity, systems and apps will work faster, and you'll be less likely to deal with bugs or crashing, meaning your team can focus on the task at hand. Make sure your team is also equipped with the best accessories and apps for field crews. This list of tablet and smartphone recommendations will help you to choose the best mobile device option for your team. Apple has introduced a new iPad at a much lower price point, which is great news for companies looking for the quality of Apple products while on a budget. This latest iPad comes with a 9.7" display and weighs just over a pound, making it a great choice for workers on the go. The iPad also has up to 10 hours of battery life and is compatible with both Apple pencil and Bluetooth keyboards. Features: 32 GB of storage, 8MB photos and 1080p HD video recording. You can also consider the iPad mini 4, which has a 7.9" display and is $399. A smartphone is a great choice for mobile forms and completing data collection because they are extremely portable, and can easily fit in a pocket and be taken to a jobsite or on the road. Mobile forms will work well on a newer iPhones running iOS 10 or 11. Many companies may be deterred by the steep price tag of the latest iPhone X, however previous iPhone versions are still very functional and will easily run mobile forms. Features: 12 MP camera, 32 GB of storage, 720p HD video recording, up to 13 hours of battery life, iOS 11 operating system. Features: 12MP camera, 32G of storage, 720p HD video recording, up to 10 hours of battery life with Internet use, iOS 11 operating system. Features: 12 MP camera, 32 GB of storage, splash, water and dust resistant, 1080p HD video recording, battery lasts up to 2x longer than iPhone 6s, iOS 11 operating system. Google may not be your first thought when choosing a new smartphone, but the Google Pixel 2 and Pixel 2 XL offer excellent features for completing mobile forms and data collection. Unlimited photo storage is a big perk and the battery life ensures workers out of the office will be able to access and submit their mobile forms all day without the phone battery dying. Features: Water-resistant metal unibody, get 7 hours of battery life from just a 15 minute charge, 12.2 MP camera, built-in security module & Google Play Protect, Android 8.0 Oreo operating system, 64 GB of storage. The Samsung Galaxy line offers great options for companies looking to mobilize their team. A major benefit of these phones is that they are water-resistant and dustproof, which is an important feature for out of office employees who work in a variety of conditions. The latest from the Samsung Galaxy line is the S9. The Galaxy S9 runs between $720-$840, depending on the options you choose. There are several other Galaxy options that have many of the same features and will still operate just as well, for a lower price tag. Features: Infinity Display screen, Dual Pixel 12.0 MP camera, 64 GB of storage, Android 7.0 Nougat operating system, 14 hours of battery life, water-resistant and dustproof. Features: built-in wireless charging, 32 GB of storage, 13 hours of battery life, water-resistant and dustproof, dual pixel 12.0 camera. If you'd prefer to equip your team with tablets, Samsung offers solid Android tablet options at a variety of price points. Features: Android Nougat operating system, S Pen included, 12 hours of battery life, 13 MP camera, 32 GB of storage. Features: Android 7.1 Nougat operating system, 32 GB of storage, 15 hours of battery life. Features: Android 7.1.1 Nougat operating system, 32 GB of storage, standby time of up to 27 days. Download the 2018 Best Mobile Devices for Mobile Forms Buyer's Guide. Ready to see how mobile forms can improve your data collection? Try them now.